J&K Bank has been in our radar since Mohnish Pabrai scooped up around 2.5% of the bank last October. We have been watching as frauds hit J&K bank and also the floods increased the NPA’s for the bank. As of May 25th, the bank had a market cap of INR 5,150 crores. When one looks at the full year results, ROA’s are down from 1.74% to 0.7%; NPA’s are up to 2.77% from 0.22%; the provisioning is down from 90% to 60%. While the state government backs the bank and will not let it fail, it does look like all the bad news might not be out of the way, more NPA’s and bad debts might start showing up as we head into 2016. At an earnings yield of 10% and 0.8 times book, the bank might not be as alluring as the metrics make it look. The NIM for the bank is 3.81% in 2015 and the net NPA’s are at 2.77% with not so conservative provisioning and a leverage of ~1:7. 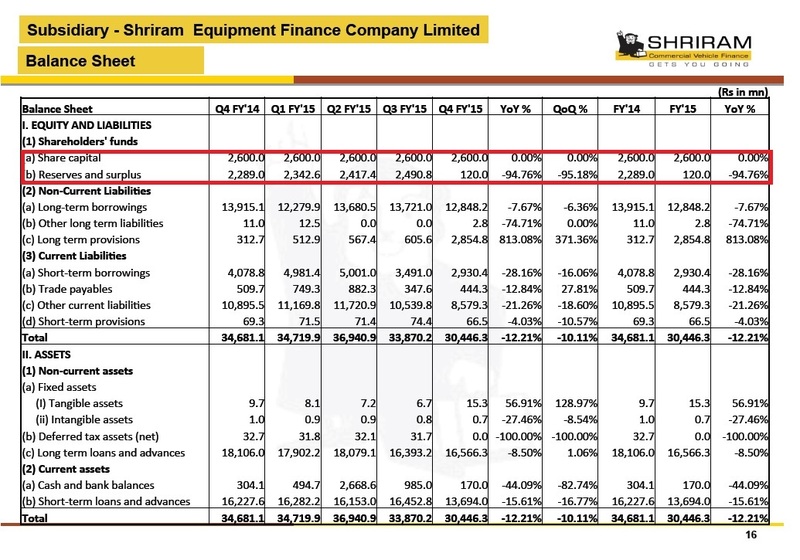 There is only a thin line between making money and losing net worth in the banking business (as the shriram transport demonstrates here for Shriram Equipment Financing) One needs to pay close attention to underlying assets and the restructured book as one considers the bank.